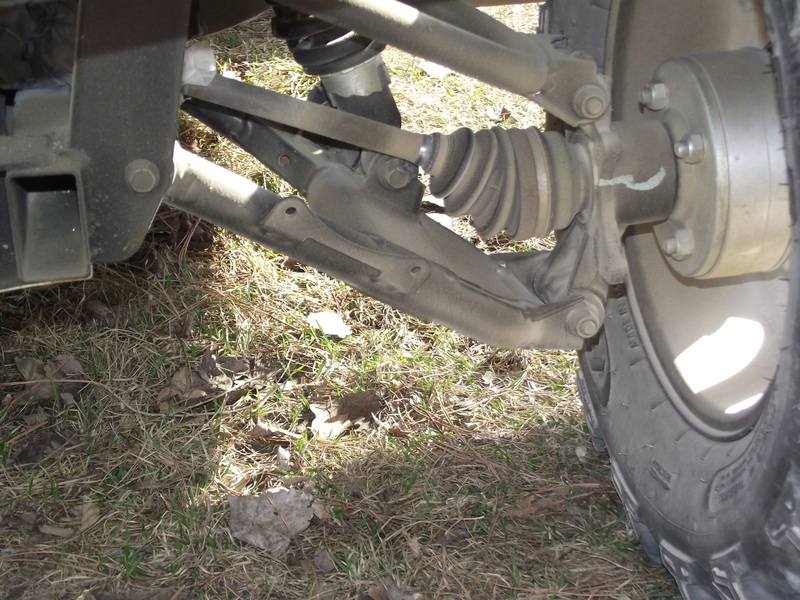 Newbie here with a axle alignment issue on a 2006 Rhino 660 the drivers side rear axle has worn away part of the lower shock mount bolt head and on the passenger side it also shows some signs of touching. 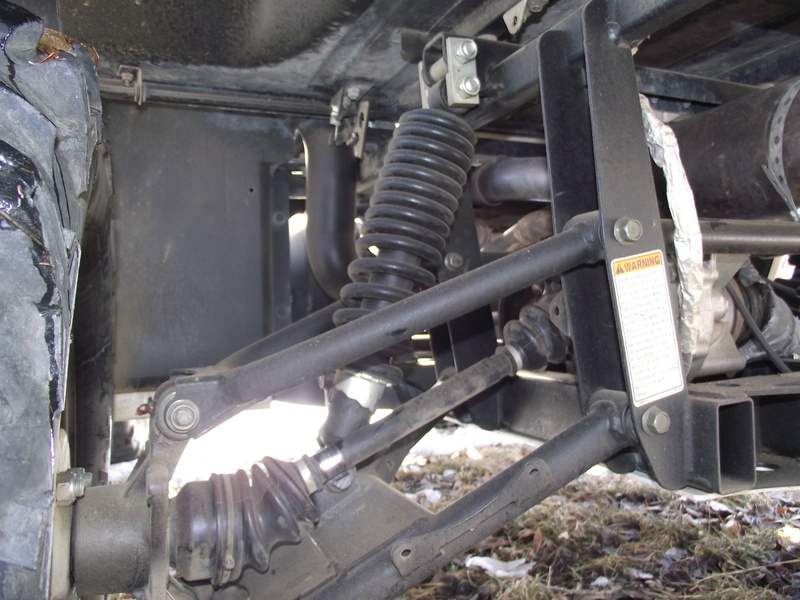 It has a 1-2" CFM lift and stock shocks, could this be caused by the extra weight of a full roll cage on the back ? What should I try to correct this ? Ok I got my rhino back from the shop today I had tires put on replaced 1 axle with a torn boot and had the side that the axle was hitting on taken care of. 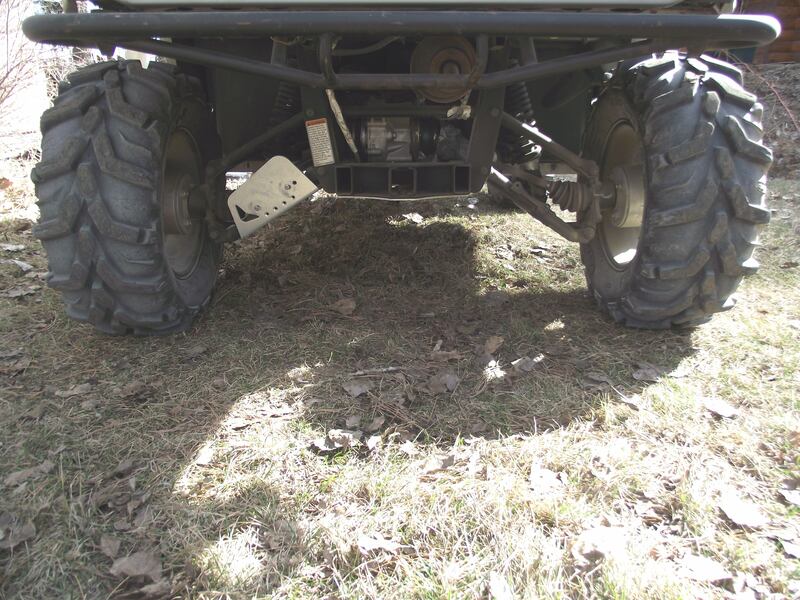 I found on another forum a post from a guy with the same problem and he had recently worked on that side and apparently the hubs will bolt on two ways 1 is upside down and lowers the axle down to the lower shock bolt height. I read the post and told the mechanic to check for that and now no more rubbing.